Q. Did you feel something started to go a different way between the first two sets and the last three ones? RAFAEL NADAL: He play great. It was not a match that I lost, even if I had opportunities. It’s a match that he wins. Q. Do you have some problems with your legs, cramping? Q. I want to know, when you were always behind one break in the fifth set, then you were coming back, what were your feelings at that moment? 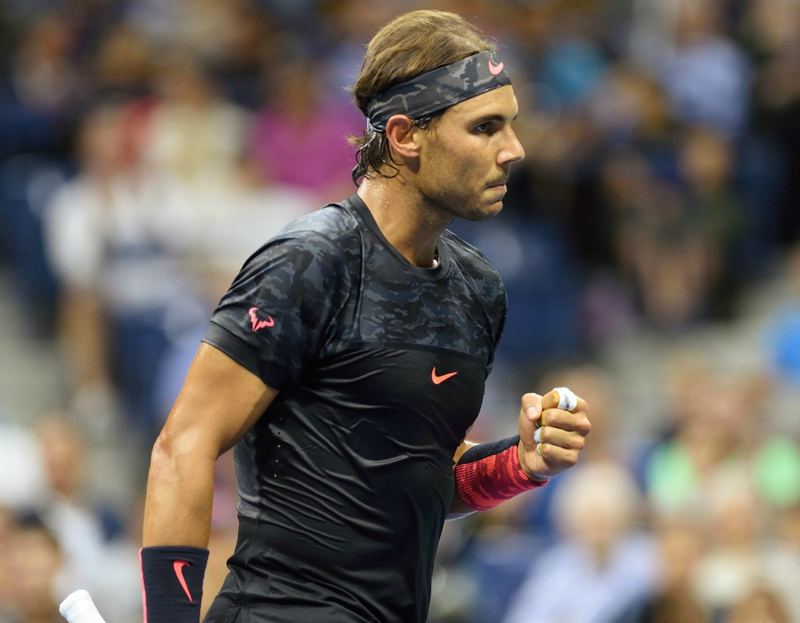 RAFAEL NADAL: I fighted until the last point all the time, good attitude. Not enough to win today. I lost a couple matches this year like this. Q. What is your plan for the rest of the season? RAFAEL NADAL: Probably Davis Cup and then Beijing, Shanghai, Basel, Paris. RAFAEL NADAL: I can’t tell you now. I don’t know if I going to qualify. Q. Is this tougher than other losses? RAFAEL NADAL: No. Is another lose. Not tougher. As I tell, you know, my mind allows me to fight until the end. Is something that I was missing for a while, that feeling that I am there. Q. It’s the first time in the last 11 years that you cannot win a Grand Slam tournament. What does it mean to you? RAFAEL NADAL: No, the only thing that means is I played worse than the last 10 years. That’s the real thing. Q. You lost three times to Fabio, so you know him well. Did he do anything surprising you tonight especially? I’ve never seen anybody making 70 winners against you. RAFAEL NADAL: I don’t know. He’s a player with a great talent, with huge shots, and he played amazing shots. But what I am doing worse is playing worse than what I used to do the last couple of years. That’s it. Q. Do you feel slower? RAFAEL NADAL: No. I was joking. Q. You say you’re feeling good mentally now. What feels different? What is not as good as you want it to be? RAFAEL NADAL: If you hit the ball a bit shorter, the opponent has more space. If you hit the ball with a little bit of less confidence, then there is not as much topspin like used to be. Q. Tiger was in your box. You have almost the same number, and ESPN make a survey who going to win the 15th, you or Tiger. You know the new generation is coming in golf and tennis. Who has the bigger chance you win the 15, you or Tiger? RAFAEL NADAL: I hope we make that happen next year both. It was a great honor for me to have Tiger in my box. For me like a sportsman he’s a big example. His attitude on the golf course for me always was a big inspiration. So when I saw him play, when I saw his attitude, I see the eyes that he has when he has to shot, has the difficult shot, the decisive shot. Is very special. I don’t see a lot of sportsmen with that self-confidence, with that intensity on his face when he had to hit the important shot. So for me, he’s a great example, great inspiration. I always say the same. I don’t have idols. But that’s closest thing that I have: him.